Cartagena, Colombia — Yoga and travel adventures. 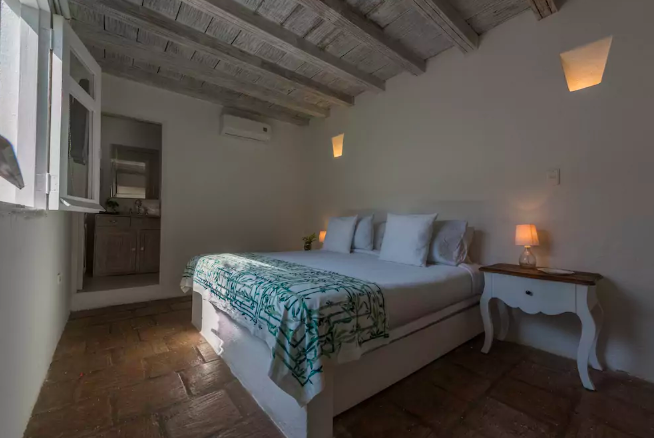 Wake up by the Caribbean in a beautiful and historic home centrally located in Cartagena's Old City. Practice yoga daily, taste vibrant coastal cuisine, visit islands and beaches by boat, explore local architecture and learn to dance salsa! Our Cartagena trip is designed to give you an amazing and immersive 5-day taste of Colombia complimented by a solid dose of yoga. We'll wake up and practice each day, eat breakfast together, and then have time for beaches, dancing, eating, and exploring. PS - this trip is just for women! Cartagena is a 16th-century port city located on Colombia's northern Caribbean coast. The Old City of Cartagena is a UNESCO World Heritage site featuring colonial architecture, bougainvillea-covered balconies, and cobbled alleyways. Cartagena is a tropical destination often referred to as the historic jewel of Colombia's coast with stunning beaches and islands nearby. We will be staying in a beautiful and historic house within the walls of Cartagena's Old City. The home is very centrally located on a quiet street with restaurants, museums, boutiques, and historical landmarks within blocks. The house's open floor plan features a swimming pool and rooftop sunbathing deck. This is a smaller group trip - women only - with a maximum of 9 people - all rooms are shared, 3-person rooms, with individual beds and ensuite bathrooms. All payment is due by October 14th, 2018. This practice is designed to wring out any post travel tension or resistance and ground you in Cartagena. An intelligently sequenced vinyasa practice structured around an intentional theme or peak pose. In this practice we will use props to set up in both restorative + yin postures - intended to calm your nervous system & renew your energy source from the inside out. A home practice is a radical from of self care. During this 2hr co-taught workshop is we will dive deep into understanding what self practice means and why we do it. We hope to provide you with the tools to make space for your yoga practice anywhere and everywhere. A foundational alignment based practice built to ground.